PGP announced an upgrade to its encryption platform, which now includes whole disk encryption for Mac OS X. For anyone who works with confidential information, laptop security is an increasingly important issue. File Vault has been a decent solution, but not one that works well with backup applications like Time Machine. I haven’t had a chance to try it yet, but it sounds like PGP whole disk encryption should play much better with Time Machine. A free trial of PGP Desktop is available. The FAQ indicates that any disks encrypted with whole disk encryption will decrypt at the end of the trial. But, as with anything that messes with your data, I recommend caution before running it on a primary work computer. A major release of Adium, a free multi-service chat application, hit the intertubes yesterday. In addition to numerous (261!) bug fixes, Adium 1.3 also includes Facebook chat support, better MSN support, and a much-improved contact inspector. According to recent reports, the 3G iPhone has been quite the success in its first month: as many as 3 million 3G iPhones sold and 60 million applications downloaded. The top sales spot went to Super Monkey Ball (to the surprise of no one who had been following the blogosphere prior to the iPhone 2.0 launch). While the initial impulse is to download as many apps as possible to try them out, there is a limit to how many apps you can juggle on your iPhone. It is not much different than a PC. You have tons of apps, but how many do you actually use on a regular basis? For most people, that number is probably no more than ten apps, and on a daily basis, maybe 3 or 4 tops. I think we’re past the point where a single application will define the market and be the reason everyone buys into a platform. On the other hand, I don’t think an application has to be used every day to make a platform compelling. It certainly helps, though. For instance, I use OmniFocus on a pretty regular basis. But it’s applications like Shazam that have given me reasons to use a phone that I never thought I would have. Is that a killer app for the iPhone? Probably not, but it’s the total package that I am buying. And right now the iPhone has a total package that no other phone can compare to. There are many lists of the top Mac applications to be found on the internet. This website even has one. But two things keep these other lists from being a great tool for businesses. First, they usually list applications like VLC which are great, but not that useful for business. Second, they usually only go to 10. Well, this one goes up to 11. A few words about this list. I limited it to utility applications. What’s not a utility application? Anything primarily productive. So you won’t see anything like Daylite, NoteBook, or Nisus Writer Pro on this list. I also considered plugins not to be applications. I’ve come across some interesting (and useful) plugins, but those will be reserved for a future article. Finally, I included commercial applications on the list. There’s a certain charm to lists of free applications. But businesses are supposed to make money. You should be able to spend a few hundred dollars on applications to make you more productive and help your business prosper. A long time ago I realized I needed some help keeping track of my passwords. It would be absolute folly to use the same ID and password for each account, so that means I need to record them somewhere secure. My original solution (back in the Mac OS X 10.2 days) was to keep a text file in an encrypted disk image. That worked well, but it quickly grew out of control. There are several good password managers, but 1Password is the best because it integrates well with the browser – automatically filling in entire web forms. 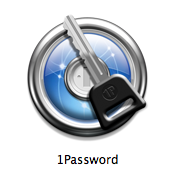 1Password can also sync your passwords with other computers using either .Mac or Agile’s my1Password service. Your entire office can be kept in sync, allowing your business partners or employees to access secure sites without worrying about the passwords they are using. And now you can always access your 1Password database with the iPhone version. 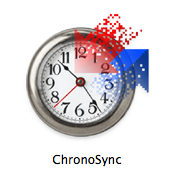 Before Leopard, I used ChronoSync for all of my backup needs. Leopard changed all that with the introduction of Time Machine, a fantastic backup solution. But Time Machine has its limits. In particular, Time Machine doesn’t handle large files well. There are lots of reasons you might have 10GB+ files lying around. For me, that reason is virtualization and I strongly suspect it’s the case for other attorneys also. Every time my virtual hard disk changes, Time Machine wants to back it up. That’s both time consuming and destructive. The destructive part comes in when my backup disk runs out of space and has to start deleting increasingly recent backups (and that happens quickly when you’re backing up a 10GB+ file every day). 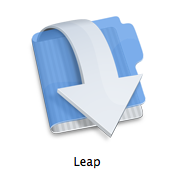 So there’s still a place in my Applications folder for a quality backup solution like ChronoSync. I can configure ChronoSync to backup my virtualization folder at an interval of my choosing and to keep only as many versions as I need. Perfect. It’s a simple law of physics: the more people you interact with, the more email you’re going to get. This reality can strike small business owners pretty hard. It may not be worth relentlessly organizing every piece of email that comes into your inbox. But you don’t want to delete it all, so something has to be done. That’s where MailSteward comes in. 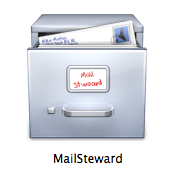 MailSteward is a searchable database for your email. Networking requires putting yourself out there. One of the drawbacks is that there are plenty of spammers “out there” so you can end up receiving more junk mail. If you’re running your own mail server, there are tools like SpamAssassin that can help. But that’s not for everyone. SpamSieve runs on your computer and works with your email client to block junk mail. The Seven Other Utilities You’ll Probably Want Too! I am fairly promiscuous with my Applications folder. AppZapper helps clean up my computer by deleting preferences and other support files after I am done testing a new application. You probably won’t try as many new applications as I do. 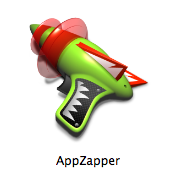 Even so, a program like AppZapper is still worth keeping around. There are just too many great Mac applications coming out these days to ignore. Once upon a time, Stuffit Expander came installed on every new Mac and most people got along just fine. But sometimes I just want to take a peek and don’t want to extract the entire archive. In short, I missed WinZip. But I still needed to be able to expand Stuffit archives (“.sit” files). 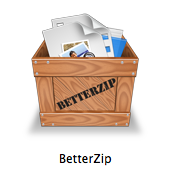 BetterZip answered the call. It handles every file format I have thrown at it, including a few not supported by Stuffit. On top of that, it allows me to easily make encrypted ZIP files, something I used to resort to the command line to do. And BetterZip does all this for less than WinZip (and far less than Stuffit Deluxe). Some people hate the Mac OS X Dock. They don’t dislike the Dock, they really, truly hate it. I’m not in that camp. I spent long enough using Windows to develop a profound hatred for the Windows taskbar. So I love the Dock. It fixes all the things I hate about the Windows taskbar. But if you’re like me, and you use your computer for productive things as well as fun things, the Dock isn’t enough. I have at least 15 applications that I use on a daily basis, and probably more. Sometimes I even use more than one of the same kind of application (for example, I still use three word processing applications regularly). 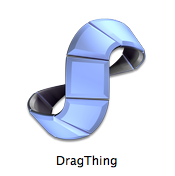 DragThing helps me organize it all. I have two DragThing docks, each with six tabs. Every application that I might conceivably want to use is sitting there right on the edge of the screen. Fewer icons in my Dock means that the icons can be larger. In addition to looking sharp, having larger icons makes switching between applications much quicker. After suffering for years with search on Windows XP, the release of Spotlight was a real “Wow!” moment for me. But after two OS X releases, Apple is still struggling to make the interface as powerful as the underlying technology. A basic Spotlight name search usually yields way too many results. Additional filters are available (by clicking the (+) button) but they are limited and require many extra steps. For anyone who uses their computer for more than just email and family photos, Spotlight is something of an ergonomic disaster. Leap takes advantage of Spotlight capabilities and adds a much more useful search criteria and search results interface. The combination of search filters, tags, and large preview icons sets Leap apart from the other Finder- and Spotlight-replacement applications. In the practice of law, I receive many files from a variety of sources. Usually the files are not named the way I would like them to be. Rather than change their names individually, it is often more convenient to save the files into one location and perform a bulk renaming operation. 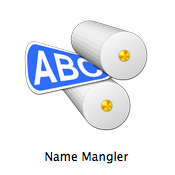 Name Mangler does everything I need it to do, and I don’t have to pay extra for features that I don’t want (it’s shareware, so you only have to pay what it’s worth to you). The Services menu is quite powerful but also probably one of the most under-used features of Mac OS X. The Services menu works by allowing an application to extend its functionality to other applications. Services tend to be time savers more than anything else. For an example, highlight a URL in a document and then select Open URL from the Services menu. The web page at the URL you highlighted should open in the Safari. It must be pretty easy to add services because I ended up with quite a few. The result was that I didn’t want to use my Services menu because (1) it was difficult to find what I wanted quickly and (2) I cringed every time I looked at the menu. 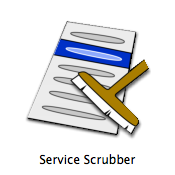 Services Scrubber helps clear the clutter by allowing me to disable unused services and organize the ones I do care about. 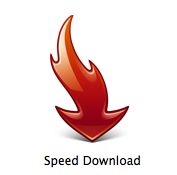 I first started using Speed Download to get better download management. Speed Download provided great download performance and supported resuming of interrupted downloads much better than Safari or Firefox. The browsers have improved, but I still rely on Speed Download for downloading large files. Lately, Speed Download has begun taking over my other file transfer tasks as well. Speed Download includes an FTP client, iDisk integration, and secure file sharing with other Speed Download users. Normally I like to pick the “Best of Breed” application for each task I need to perform. But in the case of Speed Download, one application does everything well enough for me.